Lock in a great price for Airport Hotel Aurora Star – rated 8.3 by recent guests! The location was the best because we could walk to the Keflavík Airport within 5 mins. Breakfast was quite good for continental breakfast. Our flight home was canceled and we got to the hotel at 10:45 PM. The staff was great, checked us in immediately and we were still able to order a better than expected meal at the restaurant. Carolina? at the front desk allocated us a sunny room at the top of hotel as we had requested. We were allowed to take our luggage cart to the large room. she advised us on routes and tours so we hired a car for a day. We used their hall computer for internet. Location is very near airport and car rental company. Breakfast was good. Beds were great. Walking distance to airport perfect. Nice and friendly staff. The hotel is located right next to the airport which is perfect for those who are there for an overnight stay. My boyfriend and I arrived at 1AM and Marko was extremely helpful and nice when it came to checking in. The bed and pillows were super comfortable we were bummed our stay wasn't much longer. Highly recommend this hotel for those who need a place to stay but don't want to stray away from the airport. 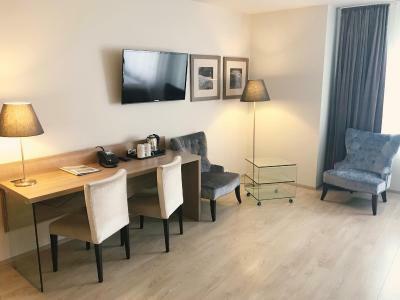 Airport Hotel Aurora Star This rating is a reflection of how the property compares to the industry standard when it comes to price, facilities and services available. It's based on a self-evaluation by the property. Use this rating to help choose your stay! This hotel is only 350 feet from Keflavík International Airport and 25 minutes’ drive from the Blue Lagoon geothermal spa. WiFi and parking are free during your stay. Airport Hotel Aurora Star provides modern rooms with satellite TV and private bathrooms. A breakfast buffet is available everyday from 05:00. Snacks and drinks can be purchased from the 24-hour reception or hotel bar. The restaurant is open for dinner every day. Leif the Lucky Bridge is a 25-minute drive from Airport Hotel Aurora Star. It is also known as the bridge between two continents, as it spans the Eurasian and North American continental tectonic plates. When would you like to stay at Airport Hotel Aurora Star? Large room has satellite TV and a private bathroom with a shower. Spacious room has 2 large beds, satellite TV and a private bathroom with a shower. House Rules Airport Hotel Aurora Star takes special requests – add in the next step! Airport Hotel Aurora Star accepts these cards and reserves the right to temporarily hold an amount prior to arrival. The window can't be closed tightly and could hear the howling sound of the wind. We had an early morning flight so it’s the best location for our family with kids. The food at breakfast wasn't refill even after the food was finished by guests at the buffet table. Staff at restaurant should be more observant and food should be refill quickly. Nothing. It was suited for people who want to catch early or late night flights. It’s very obvious; this hotel has one unique selling point: it’s a stroll from the Terminal. Although the hotel really doesn’t offer more than any other hotel, I would book it again if I had an early morning flight since Reikyavik is too far (45min to 1h). But that’s really the only reason. There is nothing out there and it’s not value for money. But again, this is the airport, so it’s OK.
We woke up to a 1" bed bug on our daughters shoulder. Unacceptable and when I took it to the staff at the front desk in a glass, the response was, "we don't have dangerous bugs in Iceland". The proximity to the airport was nice for early travel. Beds small and not comfortable. Very basic breakfast. Location very convenient, walking distance from the airport. 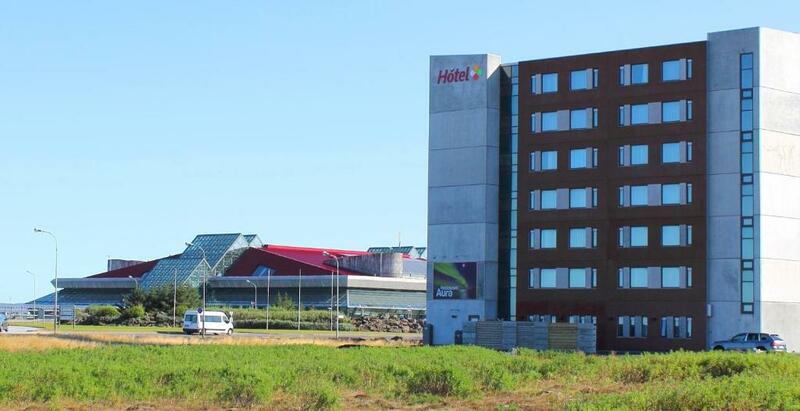 The nearest hotel to Keflavik airport (100m). Free parking spaces. Bar & restaurant. Very good breakfast. Rooms are spacious and well equipped. Staff was very friendly. All in all recommendation for a hotel with a majority of 1 night stays. Close proximity to the airport for an early flight. Not necessary to locate a bus in the early am. 2 minute walk to departure area. I spent the last night of my stay here and it eased my anxiety for being up early in the morning for an early flight. Good breakfast, buffet style. Pleasant and helpful staff. Quiet room, despite close proximity to the airport.